15.2 You guys are amazing! The last two weeks have been progressively better. I do know I owe a whole bunch of you individual e-mails of appreciation and thanks. And a podcast. Now that my mood has been improving, I am getting better sleep (mostly) and as a result, I have been less frustrated with myself. Yay! Although, now, I am battling with the “we must do a new project, and do it right now, and go to home depot like 15 times in one week, and go to Bass Pro Shops, and go fishing, and go play pool, and play video games … ” kind of strain on my time. Today is the first day I have started out my Saturday and Sunday at home in like 6 weeks, but today is Easter away from home. Yes, I never received my 2nd set of swap blocks from the Strip Twist swap, and I haven’t started remaking them. Someone offered to make blocks for me and I haven’t e-mailed back and said that’d be great! 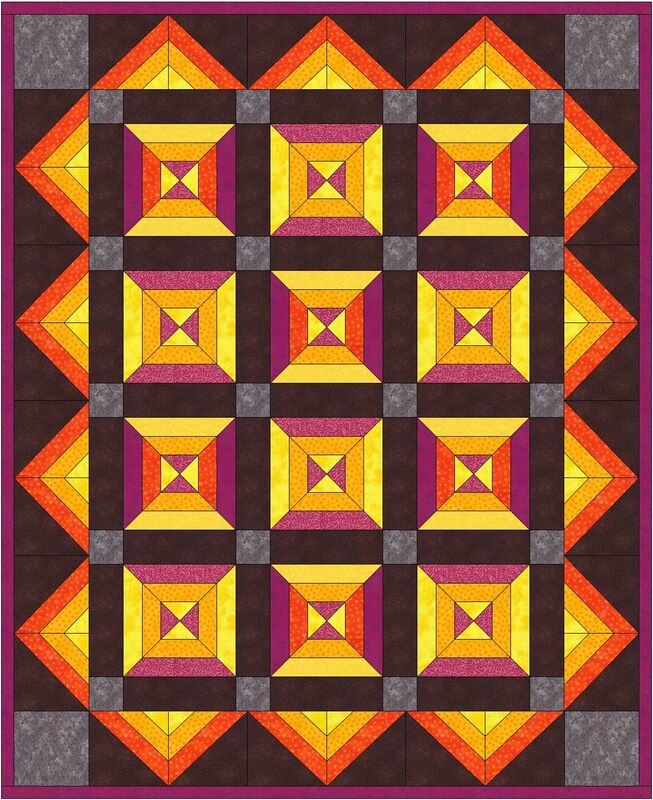 The hot flashes swap was canceled before putting all my blocks together so I can go scrappy on it, and I have two design possibilities to share (see below). One less swap, but the quilt is being built anyway. 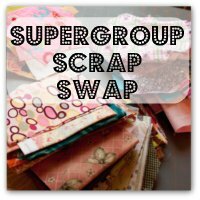 I signed up for the next swap with the quiltcast supergroup, which you need to be a part of the group on swap bot to join up. I have to go to get to easter in time! Hi Darla. Glad to know you are feeling better. Of the two quilts, I like both but I really respond to Choice 2. Wow, it just really pops! Hang in there. You have lots of quilting friends who you’ve never met but who care about you and how you’re doing. Hi Darla. Glad to see you back! I like the second one better too. That’s what I was going to say! 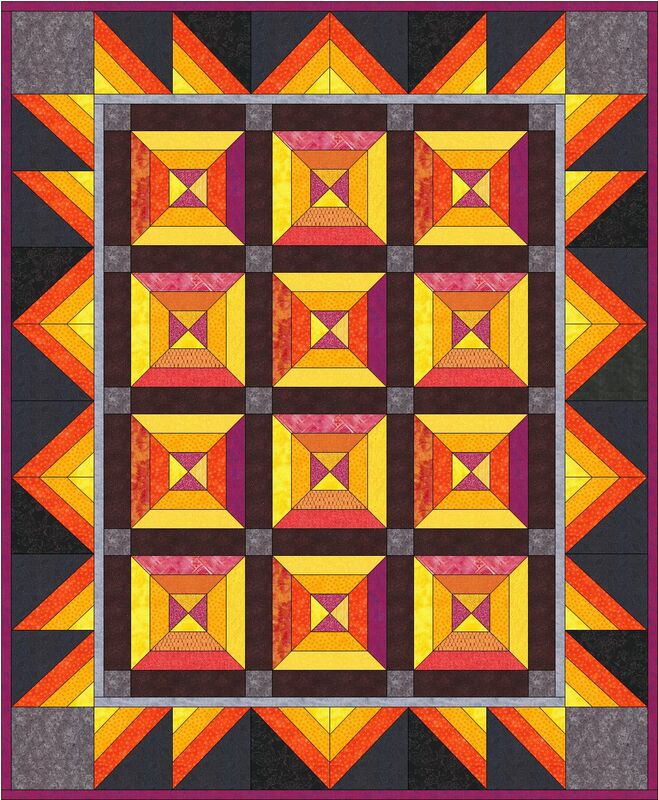 The spikiness of the triangle border on #2 is more in line with my own hot flash experience! Really like the second design. Much more active and “flashy”! P.S.- I changed my avatar successfully using another computer! Never had a hot flash…maybe that is what I like Choice 1. 🙂 I like the way it makes my eye move across the quilt. I am so happy that you are doing better. Sending you happy thoughts. Yay! So glad to hear things are getting better for you! And glad to hear you’ve got lots of ideas for more podcasts! I can’t wait to hear them! I like the second design better than the first. That one looks really cool! Take care and hope to hear ya soon! Darla, I agree that the second one looks more like something that would be called “Hot Flashes.” Both look great though!